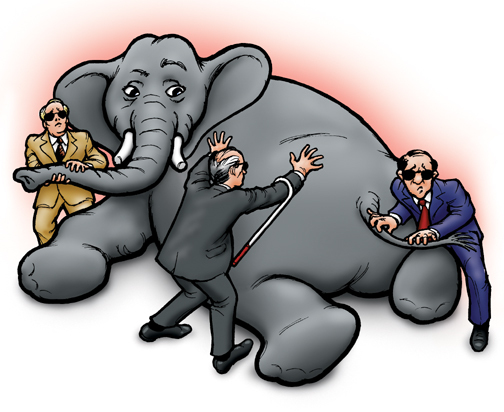 The Blind men and the Elephant, by Rudyard KiplingBusiness as usual as we know it, with economics as its guide and financial metrics as its scorecard, is in its death throes. The below essay is going to appear critical of finance and the nations (world’s) business schools. But it is too, critical, of our entire educational system. However, physicists, plumbers and plowmen do not have the same pull with respect to our cultural goals and narrative that financial folk do – as such an examination of the central assumptions driving society is long overdue. But before I point out what I didn’t learn in MBA school, I want to be fair – I did learn things of ‘value’ for the waters I would swim in the future: statistics, regression, how to professionally present and to facilitate meetings, and some useful marketing concepts. Of course, like any 20 something student, 1/2 of the value of graduate school is learning to interact with the group of people that will be your peers, and the relationships and contacts that develop. Plus the placement office was very helpful in getting us jobs as well. The culture at Salomon Brothers impressed me the most and I landed in their Private Investment Department, where we were basically stockbrokers for the uber-rich – as a trainee I wasn’t allowed to call on anyone worth less than $50 million (in 1993). After Salomon shut our department down I went to a similar job at Lehman Brothers. At Lehman I increasingly felt like a high paid car salesmen and after 2 years quit to go work for a client, develop trading algorithms on commodities and eventually started my own small fund. But increasingly, instead of trading or trying to grow my business I found myself reading about oil, history, evolution and ecological issues. It really bothered me that ‘externalities’ were not priced into our goods or profits. One day, on a hike, it struck me that what I was doing felt spiritually hollow and despite it ‘paying the bills’ I began to realize I was more interested in learning about how the world worked and maybe doing something about improving it. In 2002 I gave my clients their money back, embarked on basically a 2 year hiking trip with my dog, and a car full of books. Eventually I would obtain a PhD in Natural Resources, but like many of you my real degree was obtained on this site, interacting with the many and varied people I met and continue to call friends and mentors. I am continuing to work on making the near and long term future better, despite the tall odds, while living on a small farm in Wisconsin. More on this below. In the years that have passed, modern society has become a crazy mélange of angst, uncertainty and worry. Many of us intuitively recognize that we’ve constructed a ginormous Rube Goldberg machine which for a number of reasons may not continue to crank out goods and services for the next 30-40 years. We blame this and that demographic for our declining prospects – the Republicans, the environmentalists, the greedy rich, the lazy poor, the immigrants, the liberals, etc. We blame this and that country or political system – evil socialists, heartless capitalists, Chinese, Syrians, Europeans, etc. We watch TV and internet about the latest ‘news’ influencing our world yet are not entirely confident of the connections. But underlying all this back and forth are some first principles, which are only taught piecemeal in our schools, if at all. Below is a short list of 20 principles underpinning today’s global ‘commerce’. I should note, if I was a 25 year old starting business school, eager to get a high paying job in two short years, I wouldn’t believe what follows below, even if I had time or interest to read it, which I probably wouldn’t. Click image to enlarge.The above graphic shows a three-tiered time history of our planet, starting with the top black line being geologic time. The tiny black sliver on the far right, is enlarged in the second line, and the sliver on its far right is again enlarged on the bottom line, where the last 12,000 years are shown. We, both our environment, and ourselves, are products of this evolutionary history. Our true wealth originates from energy, natural resources and ecosystem services, developed over geologic time. Our true behavioral drivers are a product of our brains being sculpted and honed by ‘what worked’ in all 3 eras of this graph (but mostly the top 2). The dark line on the bottom is human population, but just as well could be economic output or fossil fuel use, as they have been highly correlated over this period. The economic ‘theories’ underpinning our current society developed exclusively during the short period labeled ‘A’ on the graph, on a planet still ecologically empty of human systems and when increasing amounts of extraordinarily powerful fossil energy was applied to an expanding global economic system. For decades our human economies seemed to follow a pattern of growth interrupted by brief recession and resumption to growth. This has made it seem, for all intents and purposes, that growth of both the economy and aggregate individual wealth was something akin to a natural law –it is certainly taught that way in business schools. The reality is that our human trajectory –both past and future – is not a straight line but more like a polynomial – long straight stretches, up and down, with some wavy periods in the middle, and ultimately capped. Our present culture, our institutions, and all of our assumptions about the future were developed during a long ‘upward sloping’ stretch. Since this straight line period has gone on longer than the average human lifetime, our biological focus on the present over the future and past makes it difficult to imagine that the underlying truth is something else. Evidence based science in fields like biology and physics has been marginalized during this long period of ‘correlation=causation’. This oversight is not only ubiquitous in finance and economics but present in much of the social sciences, which over the past 2 generations have largely conflated proximate and ultimate explanations for individuals and societies. In nature geese fly south for the winter and north in the spring. They do this based on neurotransmitter signals honed over evolutionary time that contributed to their survival, both as individuals and as a species. “Flying north in spring” is a proximate explanation. “Neuro-chemical cues to maximize food/energy intake per effort contributing to survival” is an ‘ultimate’ explanation. In business school I was taught, ‘markets go north’ because of invention, technology and profits, an explanation which seemed incomplete to me even though it has appeared to be valid for most of my life. Social sciences have made great explanations of WHAT our behavior is, but the descriptions of WHY we are what we are and HOW we have accomplished a vast and impressive industrial civilization are still on the far fringes of mainstream science. 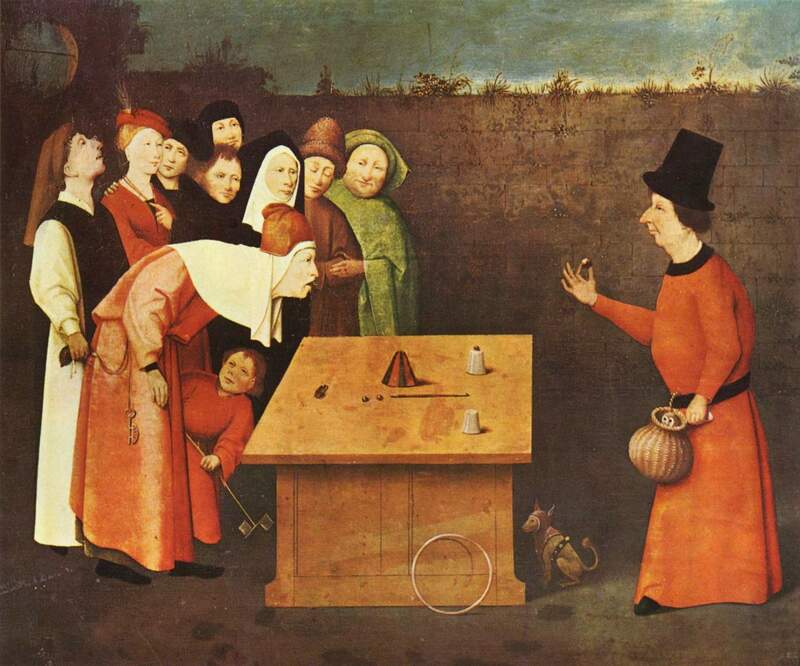 Economics (and its subset of finance) is currently the social science leading our culture and institutions forward, even if now only by inertia. Click image to enlarge.Standard economic and financial texts explain that our natural environment is only a subset of a larger human economy. A less anthropocentric (and more accurate) description however, is that human economies are only a subset of our natural environment. Though this may seem obvious, currently anything not influencing market prices remains outside of our economic system, and thus only actively ‘valued’ by government mandates or by some individuals, not by the cultural system as a whole. A landmark study in NATURE showed that the total value of ‘ecosystem services’ -those essential processes provided to humans by our environment like: clean air, hydrologic cycles, biodiversity, etc. if translated to dollar terms, were valued between 100-300% of Global GNP. Yet the market takes them for granted and does not ascribe value to them at all!!! Part of reason is that the negative impacts from market externalities aren’t immediate, and with our steep discount rates (see below), the near term ‘benefits’ of GDP outweigh ‘abstract’ costs at some unknown future date. Mankind’s social conquest of earth has brought with it some uncomfortable ‘externalities’. We are undergoing a 6th great extinction, which is no wonder given that humans and our livestock now outweigh wild animals by almost 50:1. Our one species is appropriating over 30% of the Net Primary Productivity of the planet. (One can ask, how can we use 30% of sunlight yet have 50x the weight of the other vertebrates and the answer, as we will see below, is our consumption of fossil carbon). A short list of deleterious impacts not incorporated into prices/costs includes: air pollution, water pollution, industrial animal production, overfishing (90% of pellagic fishes (tuna) in ocean are gone), nuclear waste, biodiversity loss, and antibiotic resistance. Perhaps the most ominous is the threat of climate change and ocean acidification, where humans, via burning large amounts of fossil carbon, are impacting global biogeochemical systems in profound and long-lasting ways. Since GDP, profits and ‘stuff’ are how we currently measure success, these ‘externalities’ only measurement is the sense of loss, foreboding and angst by people paying attention. Such loss is currently not quantified by decision makers. In the past, only when there was a ‘smoking gun’ e.g. in the case of chlorofluorocarbons, DDT, unleaded gasoline, did society organize and require rules and regulations for the externalities, but these examples, as serious as they were, were not anathema to the entire human economy. Without natural resources life itself is impossible. From birth to death, natural resources, transformed for human use, feed, clothe, shelter, and transport us. Upon them we depend for every material necessity, comfort, convenience, and protection in our lives. Without abundant resources prosperity is out of reach. — Gifford Pinchot Breaking New Ground (1998), 505. In nature, everything runs on energy. The suns rays combine with soil and water and CO2 to grow plants (primary productivity). Animals eat the plants. Other animals eat the animals. At each stage of this process there is an energy input, an energy output and waste heat (2nd law of thermodynamics). But at the bottom is always an energy input. Nothing can live without it. Similarly, man and his systems are part of nature. Our trajectory from using sources like biomass and draft animals, to wind and water power, to fossil fuels and electricity has enabled large increases in per capita output because of increases in the quantity of fuel available to produce non-energy goods. This transition to higher energy gain fuels also enabled social and economic diversification as less of our available energy was needed for the energy securing process, thereby diverting more energy towards non-extractive activities. 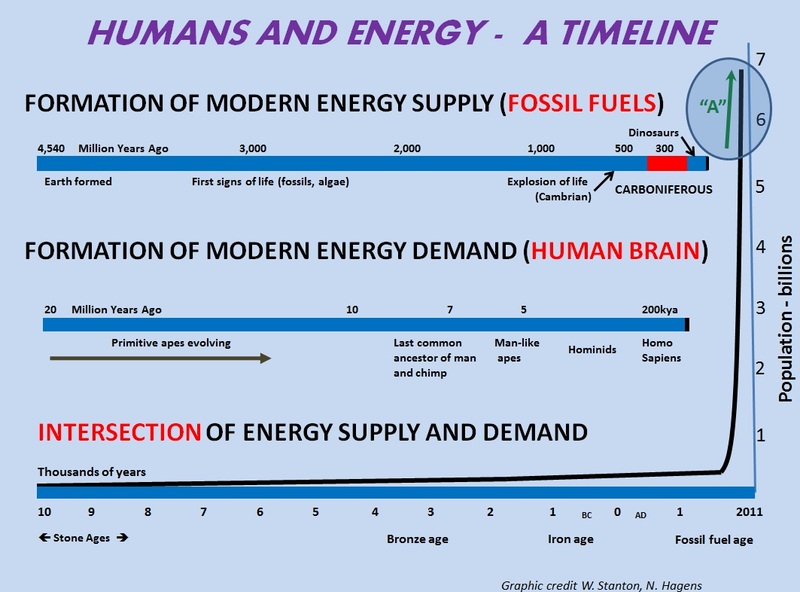 The bottom of the human trophic pyramid is energy, about 90% of which is currently in the form of fossil carbon. Every single good, service or transaction that contributes to our GDP requires some energy input as a prerequisite. There are no exceptions. No matter how we choose to make a cup, whether from wood, or coconut, or glass or steel or plastic, energy is required in the process. Without primary energy, there would be no technology, or food, or medicine, or microwaves, or air conditioners, or cars, or internet, or anything. A long term graph of human output (GDP) is one highly correlated with primary energy use. For a while (1950s to 1990s) improvements in efficiency, especially in natural gas plants, complemented energy use as a driver of GDP, but most of these have declined to now have only minor contributions. 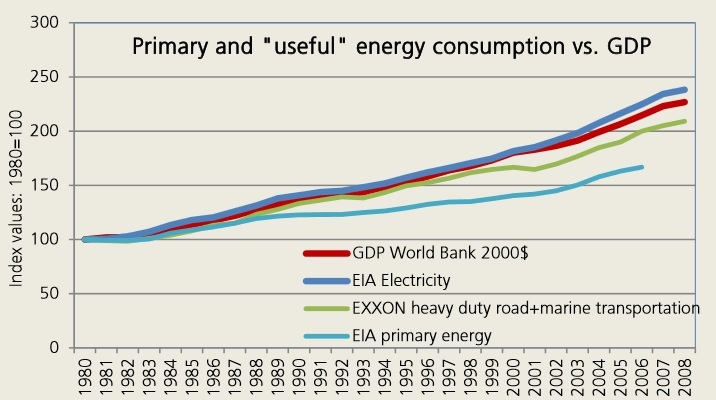 Since 2000, 96% of our GDP can be explained by ‘more energy’ being used. (For more data and explanation on this, please see “Green Growth – An Oxymoron”). Some resource economists have claimed that the relationship between energy and the economy decoupled starting in the 1970s, but what happened was just an outsourcing of the ‘heavy lifting’ of industrial processes to cheaper locations. If one includes energy transfers embedded in finished goods and imports there isn’t a single country in the world that shows a disconnect between energy use and GDP. Energy it turns out, not dollars, is what we have to budget and spend. Quite simply, energy is the ability to do work. How much work, we’ll see below. Click image to enlarge.The chemical potential energy available from the burning of things (e.g. wood) is rather astounding when compared with the energy which we supply our bodies in the form of food, and the fossil fuels of coal, oil, and natural gas burn even hotter while also being much easier to store and transport. We quickly learned that using some of this heat to perform work would transform what we could accomplish in massive ways. One barrel of oil, priced at just over $100 boasts 5,700,000 BTUs or work potential of 1700kWhs. At an average of .60 kWh per work day, to generate this amount of ‘labor’, an average human would have to work 2833 days, or 11 working years. 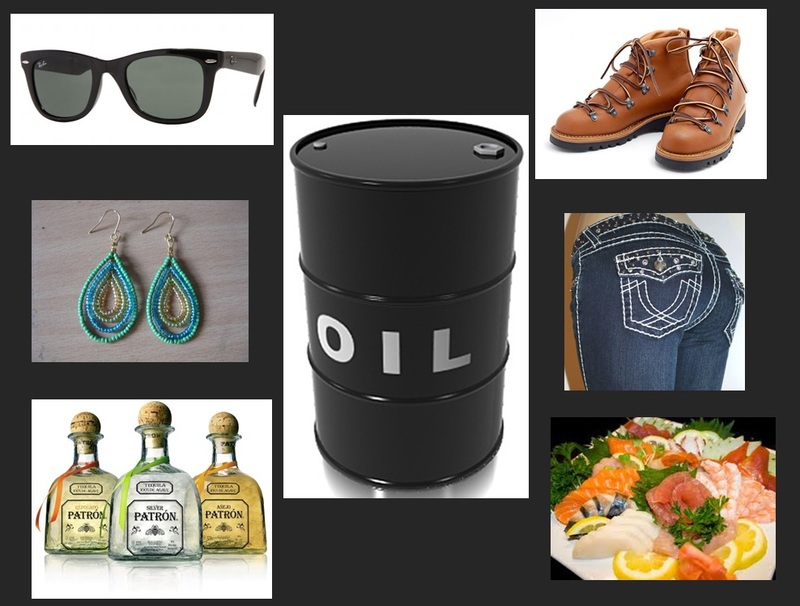 At the average hourly US wage rate, this is almost $500,000 of labor can be substituted by the latent energy in one barrel of oil that costs us $100. Unbeknownst to most stock and bond researchers on Wall Street, this is the real ‘Trade’. The vast majority of our industrial processes and activities are the result of this ‘Trade’. We applied large amounts of extremely cheap fossil carbon to tasks humans used to do manually. And we invented many many more. Each time it was an extremely inefficient trade from the perspective of energy (much more energy used) but even more extremely profitable from the perspective of human society. For instance, depending on the boundaries, driving a car on a paved road uses 50-100 times the energy of a human walking, but gets us to where we are going 10 times faster. The ‘Trade’ is largely responsible for some combination of: higher wages, higher profits, lower priced goods and more people. The average american today consumes ~60 barrel of oil equivalents of fossil carbon annually, a ‘subsidy’ from ancient plants and geologic processes amounting to ~600 years of their own human labor, before conversion. 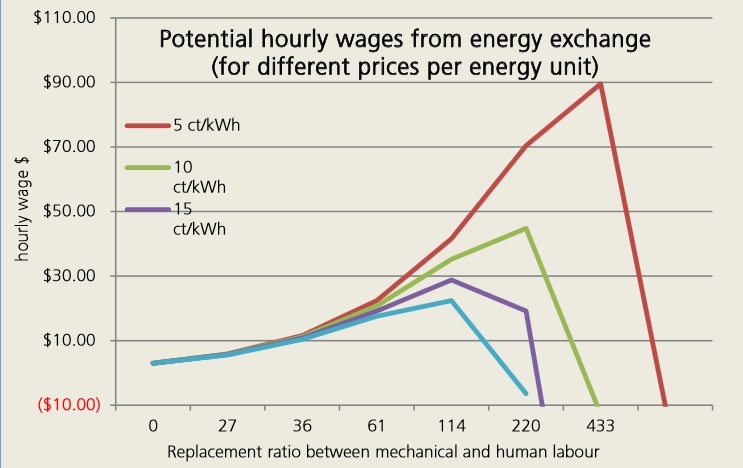 Even with 7 billion people, each human kWh is supported by over 90kWh of fossil labor, and in OECD nations about 4-5 times this much. b) energy saved is often used elsewhere in the system to build consumption demand, requiring more and more primary energy (Jevons paradox, rebound effect). Despite the power in the Trade, its benefits can be readily reversed. Firstly, if we add very large amounts of primary energy, even if it is inexpensive, the wage increases/benefits start to decline. But more importantly, and has been happening in the past decade or so, as energy prices increase, so too do the benefits of the “Trade” start to wane. The graph to the right (source, page 18) shows that as the price of energy doubles or triples the benefits of this ‘Trade’ quickly recede. This is especially true for energy intensive transportation, like air travel, and for highly energy intensive processes, like aluminum smelting, cement manufacture- fully 30% of US industry falls into this category. The ensuing reduction in ‘salary’ from large energy price increases can only partially be offset by efficiency measures or lean manufacturing moves, because the whole ‘Trade’ was predicated on large amounts of very cheap energy. Basically, the benefits to human societies from the mammoth bank account we found underground are almost indistinguishable from magic. Yet we have managed, over time, to conflate the Magic with the Wizard. Physics informs us that energy is necessary for economic production and, therefore growth. However, economic texts do not even mention energy as a factor that either constrains or enables economic growth. Standard financial theory (Solows exogenous growth model, Cobb Douglas function) posits that capital and labor combine to create economic products, and that energy is just one generic commodity input into the production function – fully substitutable the way that designer jeans, or earrings or sushi are. The truth is that every single transaction that creates something of value in our global economy requires an energy input first. Capital, labor and conversions are ALL dependent on energy. For instance, the intro text by Frank and Bernanke (2d ed., 2004, p. 48) offers explanations for increased productivity: …increased quantity of capital per worker, increased # of workers, and, “perhaps the most important,…improvements in knowledge and technology.” Nowhere in standard economic literature is there even a hint that the “improvement” in technology they refer to has, historically, been directly linked to the progression of displacing solar-powered human and animal muscle with larger and larger quantities of energy from oil, coal, and gas. Though energy is central (in that even more difficult ore grades require more overburden to extract, requiring more diesel fuel, etc), energy is not the only key limiter – other minerals and metals are finite and deteriorating in quality and cannot be (easily) replaced. Since energy seemed the same as any other commodity economic models assumed that energy and resources would follow the same decreasing cost curve we have come to expect from gadgets like toasters and coffee cups, where the technology, outsourcing of parts to their lowest cost countries, and efficiencies of scale have generally formed a declining cost over time. 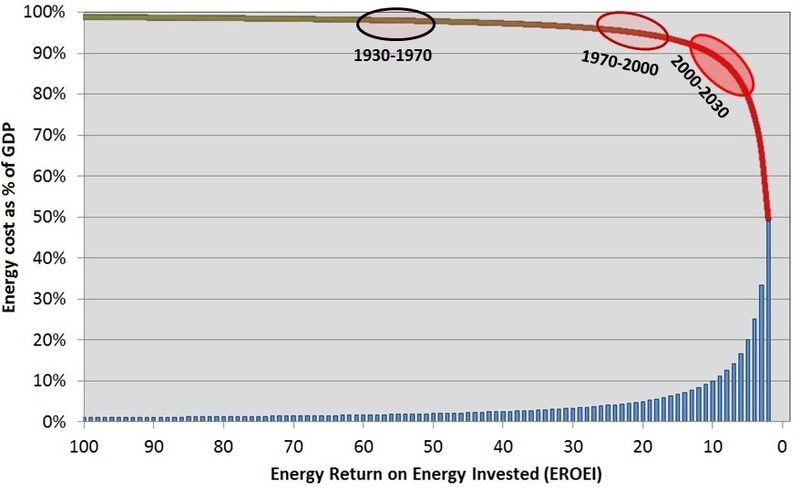 For a while, energy too followed this curve, but given that high quality resources are finite, and require high quality processed resources themselves to extract and refine, eventually the cost curve of energy and other key minerals and ores, begins to rise again. 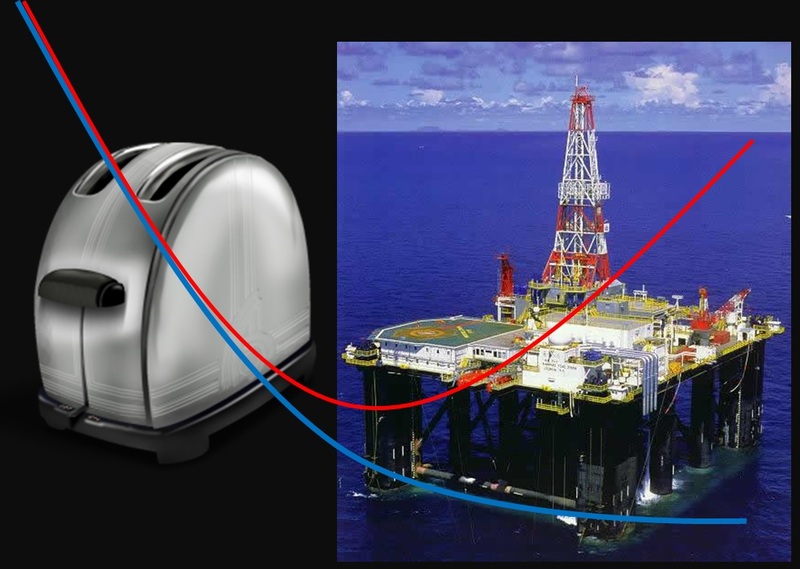 This ‘dual view’ of energy vs regular everyday products is a key failing in economic texts. But for most of the past 60-70 years however this omission was perhaps understandable, as there WAS a continuing supply of cheap energy so its worth seemed to be just the dollar price of it. 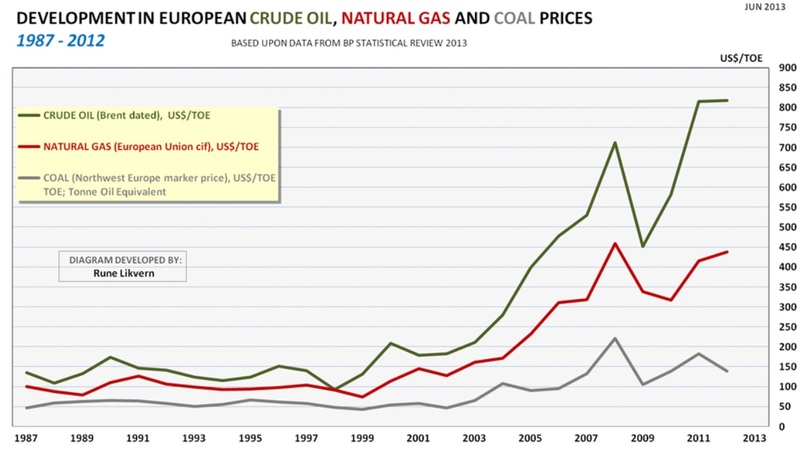 For most, this is still the dominant worldview – dollars are more important than energy. 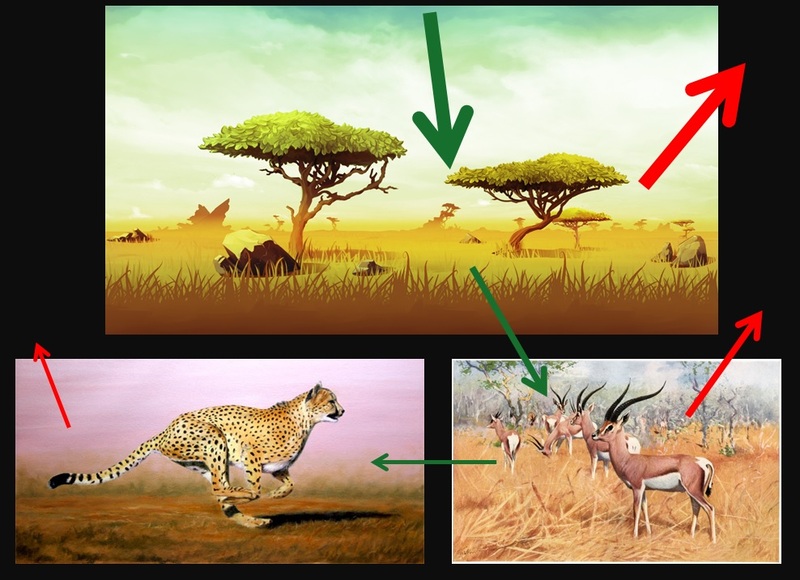 In nature, animals expend energy (muscle calories) in order to access energy (prey). The return on this ‘investment’ is a central evolutionary process bearing on metabolism, mating, strength and survival. Those organisms that have high energy returns in turn have surplus to withstand the various hurdles found in nature. So it is in the human system where the amount of energy that society has ‘to spend’ is that left over after the energy and resources needed to harvest and distribute that energy are accounted for. Finite resources typically follow a ‘best first’ concept of resource extraction. As we moved from surface exploration based on seeps to seismic surveys showing buried anticlines, to deep-water and subsalt reservoir exploration, and finally to hydro-fracturing of tight oil formations , the return per unit of energy input declined from over 100:1 to something under 10:1. To economists and decision makers only the dollar cost and gross production mattered during this period, as after all, more dollars would ‘create’ more energy. Net energy can peak and decline while gross energy continues to rise, and indeed can go to zero when there is still plenty of gross resource remaining. Everything we do will become more expensive if we cannot reduce the energy consumption of specific processes faster than prices grow. Yet, financial texts continue to view economic activity as a function of infinite money creation rather than a function of capped energy stocks and finite energy flows. Left chart – western Majors price needed for cash flow break even in yellow, overlayed on OPEC vs non-OPEC crude oil production. Source IEA, Goldman Sach 4/13 report ‘Higher long term prices required for troubled industry’. Right curve total oil production from Western Majors – source Irrespective of the dollar price tag, it requires about 245 kilojoules to lift 5kg of oil 5 km out of the ground. Similar biophysical costs apply to every energy extraction/harnessing technology we have – but they are all parsed into financial terms for convenience. After all, isn’t it dollars (euros, yen, renminbi) that our system is trying to optimize? But these physical input requirements will not vary whether the number of digits in the worlds banking system increases or shrinks or goes away. Though fossil fuels are our primary source of wealth, they were created a long time ago, and in drawing down their bounty we have not needed to pay the price of their generation, only their extraction. And, despite enormous amounts of sunlight hitting the earth everyday, real (and significant) resources need to be expended in order to harness and convert the sunlight into forms and at places where it can be used. Some of my ‘real capital’: Natural capital – my backyard with trees, sun, water, Social capital Here 2 of my dogs, but equally my friends, contacts and family relationships, Built capital Our house, with solar hot water, chain saws, an aloe vera plant, and a deck, and Human Capital My health and skills (identifying edible mushrooms), my father’s health and skills (he’s a doctor, and can grow vegetables, etc) Growing a big bank account is like fat storage for animals – but it’s not, because it’s only a marker for fat – its caloric benefit stored for the future is intertwined with a sociocultural system linked to monetary and credit marker. In business school, (and on Wall St.) we were taught that stocks going up ~10% a year over the long run was something akin to a natural law. The truth turns out to be something quite different. 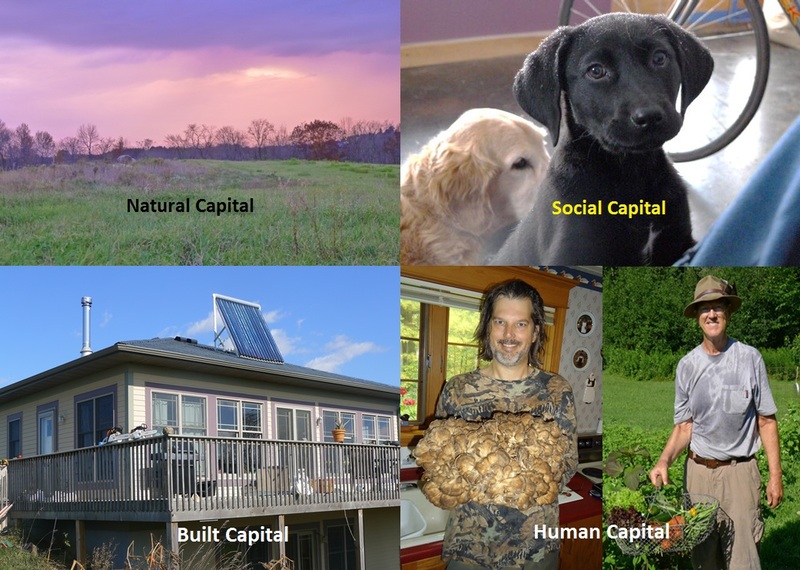 Stocks and bonds are themselves ‘derivatives’ of primary capital – energy and natural resources – which combine with technology to produce secondary capital – tractors, houses, tools, etc. Money and financial instruments are thus tertiary capital, with no intrinsic value – it’s the social system and what if confers that has value and this system is based on natural, built, social and human capital. And, our current system of ‘claims’ (what people think they own) has largely decoupled from underlying ‘real capital’. Though societies require ‘energy’, individuals require money in order to transact in the things energy provides. What is money anyways? I certainly didn’t learn in business school (or any school for that matter). Quite simply, money is a claim on a certain amount of energy. When our economic engine kicked into gear in the early 1900s, money (not energy or resources) was the limiting factor. We had so much wealth in our natural resource bank account that we needed ways of turbocharging the broader economy so productive ventures could be undertaken by anyone with skill, products or ambition. It was around this time that banks came into existence – to increase the flow of money to match the productive output of our economies only made sense – too little money and we couldn’t produce the ‘power’ needed by a hungry world. Creditworthy individuals/businesses could now obtain loans from commercial banks who were required to keep a small portion of their assets on reserve with a central bank. And it worked fabulously well. Correlation=causation and all that. We were taught to view credit creation as a series of consecutive bank “intermediations”, where some initial deposit rippled through the banking system and via a multiplier, created additional money. E.g. banks are unable to create credit themselves, but are just passing on some wealth already created. This is true for about 5% of money coming into existence. The reality for 95%+ of money creation is profoundly different. The standard concept of lending describes a transfer of an existing commodity to its exclusive use somewhere else. However, this new credit extended by banks does not remove purchasing power or claims on resources from anywhere else in the economy. Since banks are capital constrained, not reserve constrained they lend when (ostensibly) creditworthy customers have demand for loans, not when they have excess reserves. As such the ‘fractional reserve banking’ system taught in textbooks and demonized on the blogosphere is not the proper description. I didn’t learn this until 2007 or so. Banks do not lend money, they create it. And this is why the focus on government debt is a red herring. All of our financial claims are debt relative to natural resources. 2) We increasingly have to issue more debt to keep up with the declining benefit of the “Trade”, lest aggregate demand plunge. 3) Over time we consume more rather than adding productive investment capacity. This lowers debt productivity over time (debt productivity is how much GDP we get for an additional $ of debt). If an additional dollar of debt created a dollar of GDP, or anything close, it would be more or less like the textbooks claim – a tradeoff in the temporal preferences of the creditor and debtor. And, when debt productivity is high, we are transforming and extending wealth into different forms of future wealth (energy into productive factories etc). But when debt productivity is low (or approaching zero as is the case now), new debt is really just an exchange of wealth for income. This is happening now in all nations of the world to varying degrees. E.g. since 2008, G7 nations have added 1 trillion in nominal GDP, but at a cost of increasing debt by $18 trillion – and this doesn’t include off balance sheet guarantees. The cost of finite natural resources measured in energy terms is our real cost of capital. In the short and intermediate run, dollars function as energy, as we can use them to contract and pay for anything we want, including energy and energy production. They SEEM like the limiters. But in the long run, accelerating credit creation obscures the engine of the whole enterprise – the ‘burning of the energy’. Credit cannot create energy, but it does allow continued energy extraction and much (needed) higher prices than were credit unavailable. At some point in the past 40 years we crossed a threshold of ‘not enough money’ in the system to ‘not enough cheap energy’ in the system, which in turn necessitated even more money. After this point, new credit increasingly added gross energy masking declines in our true cost of capital (net energy/EROI). Though its hard to imagine, if society had disallowed debt circa 1975 (e.g. required banks to have 100% Tier 2 capital and reserves) OR if we had some natural resource tether – like gold – to our money supply since then, global oil production and GDP would likely have peaked 20-30 years ago (and we’d have a lot more of the sub 50$ tranche left). As such, focus on oil and gas production numbers isn’t too helpful without incorporating credit forecasts and integrating affordability for societies at different price tranches. An example might make this clearer: imagine 3,000 helicopters each dropped a billion dollars of cash in different communities across the country (that’s $3 Trillion). Citizens that get there first would stuff their backpacks and become millionaires overnight, lots of others would have significant spending money, a larger number would get a few random hundreds stuck in fences, or cracks, and a large % of the population, not near the dropzone, would get nothing. The net effect of this would be to drive up energy use as the new rich would buy cars and take trips and generally consume more. EROI of the nations oil fields wouldn’t change, but oil companies would get a higher price for the now harder to find oil because the economy would be stronger, despite the fact that those $3 trillion came from thin air (or next to it). So, debt went up, GDP went up, oil prices went up, EROI stayed the same, a few people got richer, and a large % of people got little to nothing. This is pretty much what is happening today in the developed world. Natural systems can perhaps grow 2-3% per year (standing forests in USA increase their volume by 2.6% per year). This can be increased via technology, extraction of principle (fossil carbon), debt, or some combination. If via technology, we are accessing energy we might not have been able to access in the future. If we use debt, we are diverting energy that would have been accessible in the future to today by increasing its affordability via handouts/guarantees and increasing the price that energy producers receive for it. In this fashion debt functions similarly to technology in oil extraction. Neither one is ‘bad’, but both favor immediate consumption on an assumption they will be repeated in continued iterations in the future. Debt temporarily makes gross energy feel like net energy as a larger amount of energy is burned despite higher prices, lower wages and profits. Gross energy also adds to GDP, as the $80+ per barrel oil extraction costs in e.g. Bakken Shale ends up being spent in Williston and surrounding areas (this would be a different case if the oil were produced in Canada, or Saudi Arabia). But over time, as debt increases gross energy and net energy stays constant or declines, a larger % of our economy becomes involved in the energy sector. Already we have college graduates trained in biology, or accounting, or hotel management, working on oil rigs. In the future, important processes and parts of non-energy infrastructure will become too expensive to continue. Even more concerning is that, faced with higher costs, energy companies increasingly follow the societal trend towards using debt to pull production forward in time (e.g. Chesapeake, Statoil). In this environment, we can expect total capital expenditure to keep pace with total revenue every year, and net cash flow become negative as debt rises. In the last 10 years the global credit market has grown at 12% per year allowing GDP growth of only 3.5% and increasing global crude oil production less than 1% annually. We’re so used to running on various treadmills that the landscape doesn’t look all too scary. But since 2008, despite energies fundamental role in economic growth, it is access to credit that is supporting our economies, in a surreal, permanent, Faustian bargain sort of way. As long as interest rates (govt borrowing costs) are low and market participants accept it, this can go on for quite a long time, all the while burning through the next higher cost tranche of extractable carbon fuel in turn getting reduced benefits from the “Trade” creating other societal pressures. Society runs on energy, but thinks it runs on money. In such a scenario, there will be some paradoxical results from the end of cheap (to extract) oil. Instead of higher prices, the global economy will first lose the ability to continue to service both the principal and the interest on the large amounts of newly created money/debt, and we will then probably first face deflation. Under this scenario, the casualty will not be higher and higher prices to consumers that most in peak oil community expect, but rather the high and medium cost producers gradually going out of business due to market prices significantly below extraction costs. 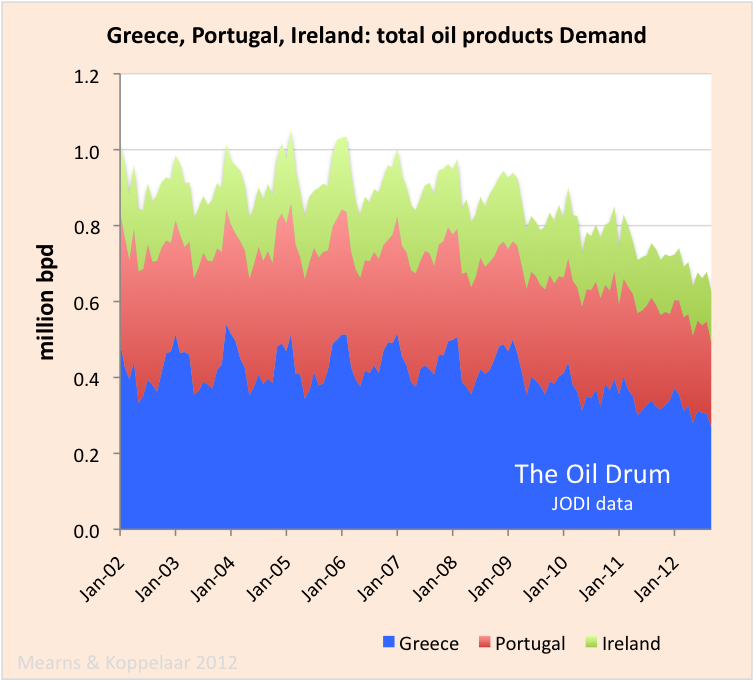 Peak oil will come about from the high cost tranches of production gradually disappearing. I don’t expect the government takeover of the credit mechanism to stop, but if it does, both oil production and oil prices will be quite a bit lower. In the long run it’s all about the energy. For the foreseeable future, it’s mostly about the credit. But why do we want energy and money anyways? Fantastic read! An excellent summary of difficult and complex subjects broken down to understandable language (at least for me…and I am no scientist, expert, or really educated) . Really looking forward to part II! Impressive. Do you mind if I use a chart on our website, with credits of the source of course? We are trying to convince humanity that pyrolysis of human remains with concentrated solar power is much better that cremation. Great to see your site up! Just checkin’ how well the commenting works on this wordpress site. Testing, 1, 2, 3 ,4…..
TOD is dead – long live TOD. It went silent last night, eight years to the day after I first signed on… Very glad you’ve got this site, and have already been telling folks that they must read Part II when you post it. There is plugin for suscribing. If you use it, everybody that have given an email receive a note when a new article is posted. Signing on to support your efforts. Just in from an afternoon of firewood. The maple is hard, but the muscles are not. From The Oil Drum we went to hazelnuts, to chestnuts, to edible forest gardens. 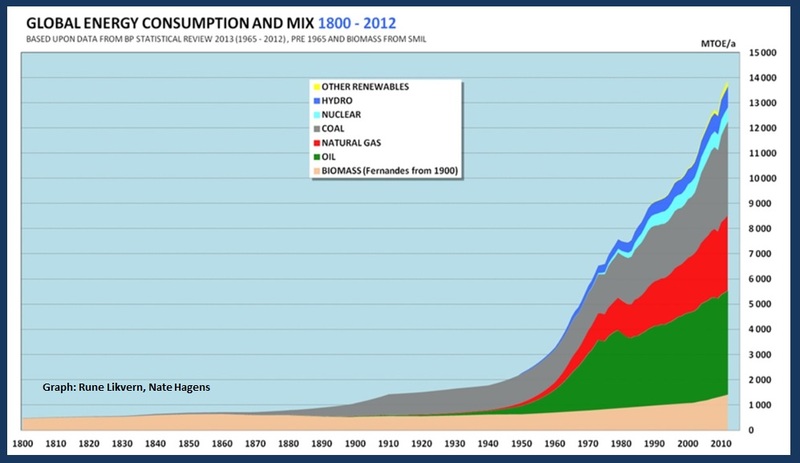 Been all about peak oil since 1984. Nobody listened then. If we disappeared into a profoundly productive temperate forest garden, would anyone hear? I’m going to be checking daily for part two of twenty things, and reading all your stuff posted before my time at the now archived TOD site too. If you have published any other original work beyond what is at TOD, please include links to it here. Best wishes for a long and successful run at whatever you’re doing these days! “If your plan is for one year, plant rice. If your plan is for 10 years, plant trees. Suggested reading while we are waiting for Nate. I would send this article far and wide, but the cognitive dissonance would make people reject it out of hand. Instead, I look for ways to gently show them facts they can accept, with the hope that one day they will be able to read this entire article and not suffer cognitive dissonance and so reject it. Excellent, looking forward to part 2! By the way, have you seen Paul Krugman´s latest blog post? (“Secular Stagnation, Coalmines, Bubbles, and Larry Summers”, Nov16 2013). Inspired by Larry Summers, he more or less announces the (possible) end of growth. Influential and mainstream as he is, this could really mean something, I think. I wrote a comment (which he of course probably won´t read ;D) asking him to look at the energy aspect of this. That is still one piece of the puzzle that the mainstream economists haven´t absorbed. They tend to fall down on demographics and technology as the ultimate explanations. But the penny has to drop soon, don´t you think? The question is: can we engineer a new “tech fix” before the fossil fuel energy becomes uneconomic to develop? My prediction is not unless we massively shift our incentive system – for example, untaxing production, but taxing heavily the use/abuse (i.e. pollution) of resources (including location). If externalities are not properly factored in, our economic system will become more and more divorced from reality. The debt escalation is a measure of how far form reality it already is. Very well explained; but I feel we fall into the less than 1%. So much for Business School ! This is the best thing I have read in a long time. Please accept my respect and bow.